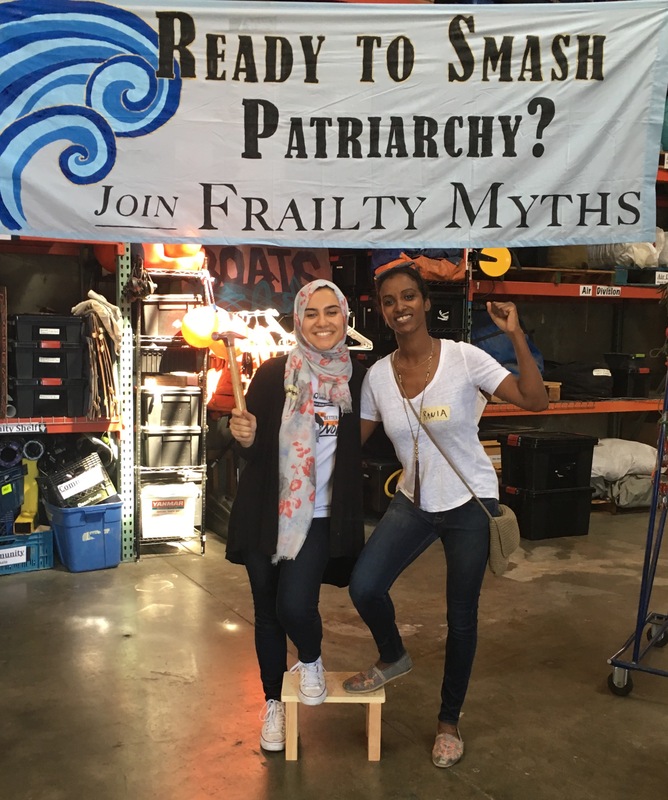 Give the Gift of Woodworking and Smashing Patriarchy! Does participant identify as POC? Want to give yourself or a loved one an incredible tax-deductible gift for the holidays that also supports an empowering organization? We are hosting a special workshop come at the beginning of the year to help secure funding for our free workshops the rest of the year. For a minimum one time donation of $200 or a monthly membership at the Mountain Climber lever ($50) you can guarantee a spot in the workshop. If you're gifting, we'll send you a special confirmation PDF to print out for the lucky person. There are only 15 spots, so act fast! After completing your donation through the form, a confirmation email will be sent and your spot reserved. Frailty Myths' community workshops are by application only and free of charge. We currently have an average of 100 people apply for 15 spots at each workshop. We are committed to prioritizing people from marginalized communities who have the least access to these spaces and skills, specifically Black, Brown, and Indigenous people as well as folks who are differently-abled and those who have been excluded due to other forms of state-sanctioned violence. The workshop includes discussions on the transformative quality of radical self-reliance, how patriarchy impacts us, and societal myths that surround tools and building that often keep many from comfortably participating in these spaces.